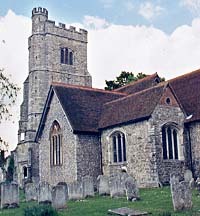 A list of those available for Kent parishes, both published and unpublished. customers: £2.50 plus £1.20 postage (stamps acceptable as payment). Settlement records are an indispensable source, particularly for family history research in the late 17th, 18th and 19th centuries, enabling one to trace the movements of ancestors into and out of the parishes where they lived. All types of people feature, not just paupers, but also labourers, tradesmen, craftsmen, unaccompanied children, widows etc. The two volumes and Supplement to Part 1 include a parish by parish catalogue of all known surviving Kent settlement records, covering all the different types. Each volume has a useful introduction to the surviving documentation for that part of Kent, together with information about the different types of settlement documents and what information can be gained from each. Each volume also includes a Select Bibliography. Part 1: East Kent (Diocese of Canterbury). Paperback, 64 pages, published 1993. ISBN: 0-9521828-0-7. Price: �95, or �50 including inland postage. Overseas Rates including postage: Europe �75, World Surface �90, USA/Canada Airmail �40, Australia/New Zealand Airmail �60. Supplement to Part 1: updated edition, June 2001. 12 pages. Price: 80p, plus SAE inland. Overseas Rate: 4 IRCs or £1.45 in British stamps. Part 2: West Kent (Diocese of Rochester). Paperback, 68 pages, published 1994. ISBN: 0-9521828-1-5. Price: �50, or �05 including inland postage. Overseas Rates including postage: Europe �30, World Surface �45, USA/Canada Airmail �95, Australia/New Zealand Airmail �15. Supplement to Part 2: with additions/ amendments to June 2001. Price: 30p, plus SAE inland. Overseas Rate: 2 IRCs or 75p in British stamps if sending from overseas. The Set plus Supplements to Part 1 and 2: �10, plus postage for the two volumes as above, less 30p. A history, together with a catalogue of Kent records sources. Paperback, 80 pages, published 1995. Price: �00, or �55 including inland postage. Overseas Rates including postage: Europe and World Surface �05, USA/Canada Airmail �45, Australia/New Zealand Airmail �65. Alphabetical list of 291 Kent non-conformist Ministers who declared they were of the Christian faith and not papists. There is an introduction to the legal background and the documents dealt with in this volume, followed by biographical notes on some of the Ministers signing the Declaration and some who did not, then an alphabetical list of Ministers, finally an Index of Places. Paperback, 32 pages, published 1995. Price: �50, or �95 including inland postage. Overseas Rates including postage: Europe and World Surface �30, USA/Canada Airmail �80, Australia/New Zealand Airmail �95. Transcript of the Registers, which include Baptists from 26 other places in Kent and a few from London. Introduction, Indexes of Surnames and Places. Paperback, 33 pages, published 1995. A complete transcript of a Quaker register not surrendered to the Registrar General in 1837, which covers the period 1648-1778 and includes entries from a number of places in mid- to south-east Kent. Also Quaker burials at Cranbrook 1708-1806, other stray Quaker items from parish registers asnd Quakers Affirmation rolls of 1723. Introduction, Select Bibliography, Indexes of Surnames and Places. Paperback, 64 pages, published 1996. Overseas Rates including inland postage: Europe and World Surface �05, USA/Canada Airmail �45, Australia/New Zealand Airmail �65. List in alphabetical order of surname of 461 men enrolled in Kent into the Navy under this Act. Includes name, place of birth or settlement, age and occupation, many physical descriptions. Almost three quarters of the men were born or settled outside Kent. Introduction. Index of Places. Paperback, 57 pages, published 1996. Price: �75, or �30 including inland postage. Overseas Rates including postage: Europe and World Surface �55, USA/Canada Airmail �05, Australia/New Zealand Airmail �20. Alphabetical listing by surname of around 3,000 probate inventories for Kent people, those who died in Kent and some with just property in Kent. The inventories range in date from 1490-1854, most being made in the period 1660-1840. Public Record Office references quoted. Alphabetical indexes of Places and Stray Names (mostly executors and administrators of the deceased). Free Introduction volume supplied. Paperback. Parts 1-3 each 72 pages, Parts 4a and 4b each 44 pages. Published 1998. Parts 1-3 each �00, or �60 including inland postage. Parts 4a and 4b each �00, or �50 including inland postage. Parts 1-3 each Part: Europe and World Surface �30, USA/Canada Airmail �80, Australia/New Zealand Airmail �00. Parts 4a and 4b each part: Europe and World Surface �10, USA/Canada Airmail �60, Australia/New Zealand Airmail �85. Kent Wills and Administrations in the Prerogative Court of Canterbury 1801-1803. An alphabetical listing of 1,093 wills and 494 admons by Kent people proved in the PCC in that period. Surname, Christian name, any other details given in the contemporary calendar. month, year and Public Record Office reference are given. Paperback, 57 pages, published 2001. Price: £4.00, or £4.50 including inland U.K. postage. Overseas Rates including postage: Overseas Rates including postage: World Surface £4.85, Europe £4.90, USA/Canada Airmail £5.35, Australia/New Zealand Airmail £5.45. A similar listing for the rest of the period 1804-January 1858 is in progress. Baptisms 1746-1793, 1797-1837, Marriages 1788-1792, Deaths 1787-1793, Burials 1842-1912, with a few Births 1716-1791 . 'Only the registers of baptisms covering 1797-1837 are deposited at the Public Record Office and can be expected to be included in the IGI - however, tests show that not all these baptisms are included. The other entries are taken from unpublished original registers still kept in Kent. Introduction, Bibliography, Indexes of Surnames and Places. Paperback, 36 pages, published 1999. Price: �00, or �50 including inland postage. Overseas Rates including postage: World Surface �80. Europe �90. USA/Canada Airmail �30. Australia/New Zealand Airmail �40. Communicants Lists are in effect a mini-census, listing communicants (those over 14 years) at Easter 1565, with two lists for Appledore - one 1567 and one undated. In many cases names of wives, children under 14 and servants are given for a period where seven of the 14 parishes do not have surviving parish registers. Part 1: Appledore, Brookland, Burmarsh, Dymchurch, Ebony, Fairfield, Lympne, New Romney, Orlestone, Saltwood, Stone in Oxney, Tenterden, West Hythe, Woodchurch. Introduction, full transcript of the returns, Surname Index. iii and 49pp. Price: £4.00, plus 93p postage inland. Overseas Rates including postage: World Surface and Europe by air: £5.30, Rest of the World by Airmail: £5.85. A mini-census of communicants (those over the age of 14 years) taken around Easter 1565. In many cases names of wives, children, servants and those under the age of 14 are given. Of the 11 parishes covered in this book the registers of five start after 1565, so these records are useful for establishing names of inhabitants in those parishes in the mid-1560s. Part 2: Bicknor, Bobbing, Bredgar, Frinsted, Milstead, Milton next Sittingbourne, Newington near Sittingbourne, Queenborough, Stockbury, Tunstall, Wormshill. Numbers (no names) for Thurnham. Published 2015. Introduction, full transcription of the returns, Surname Index. vi and 47pp. Price: £4.50 plus 93p postage inland. Overseas Rates including postage: World Surface and Europe by air: £5.80, Rest of the World by Airmail: £6.35. A mini-census of communicants (those over the age of 14 years) taken around Easter 1565. In many cases names of wives, children, servants and those under the age of 14 are given. Of the 10 parishes covered in this book the registers of four start after 1565, so these records are useful for establishing names of inhabitants in those parishes in the mid-1560s. Part 3: Boughton Malherbe, Doddington, Newnham, Norton, Ospringe, Preston next Faversham, Selling, Sheldwich, Stone next Faversham, Staplehurst. Numbers (names not given): Faversham, Pluckley. Published 2013. Introduction, full transcription of the returns, Surname Index. vi and 50pp. Part 4 of Kent Communicants Lists 1565, covering all the remaining parishes for which returns survive. GENFair at www.genfair.com  look for "Kent Family History Research" in the Main Hall, Ancestry Arcade section.